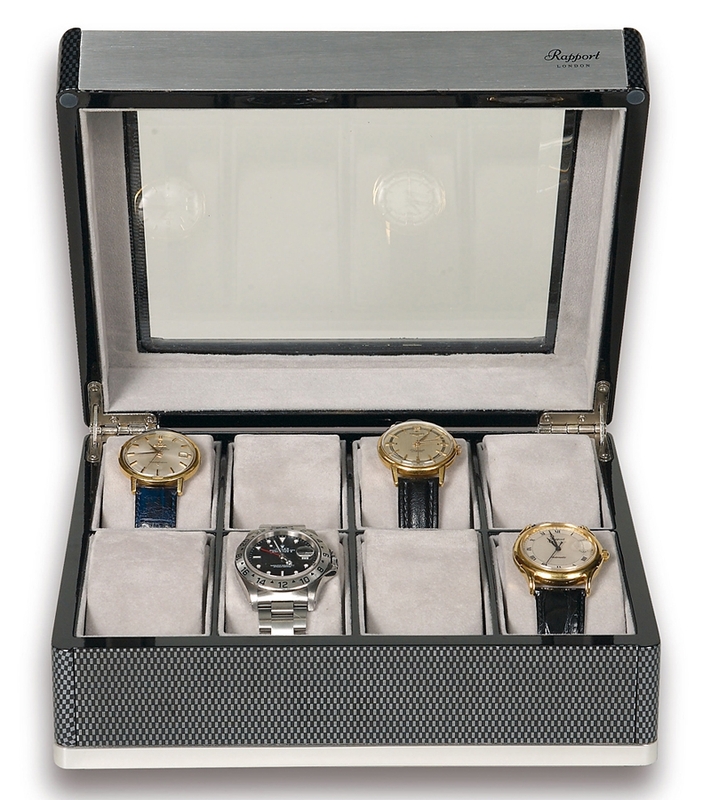 This eight watch collector box F3 B268 exudes the luxury of a well-made product that produced by Rapport of London in United Kingdom. It's professionally crafted in solid wood with high-gloss lacquered carbon fiber finish, and accented with stylish brushed aluminum. The hinged lid is fitted with a beveled glass panel to proudly showcase your valuable collection. 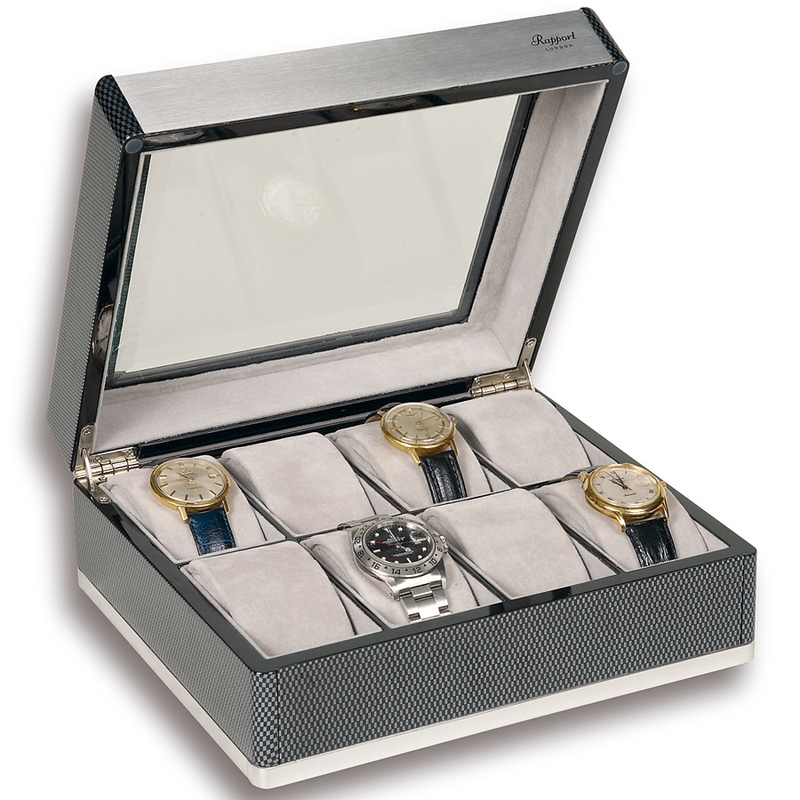 The interior features 8 individual compartments that lined with soft gray velvet fabric. 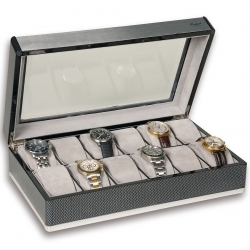 There are padded cushions to hold your watches in place. 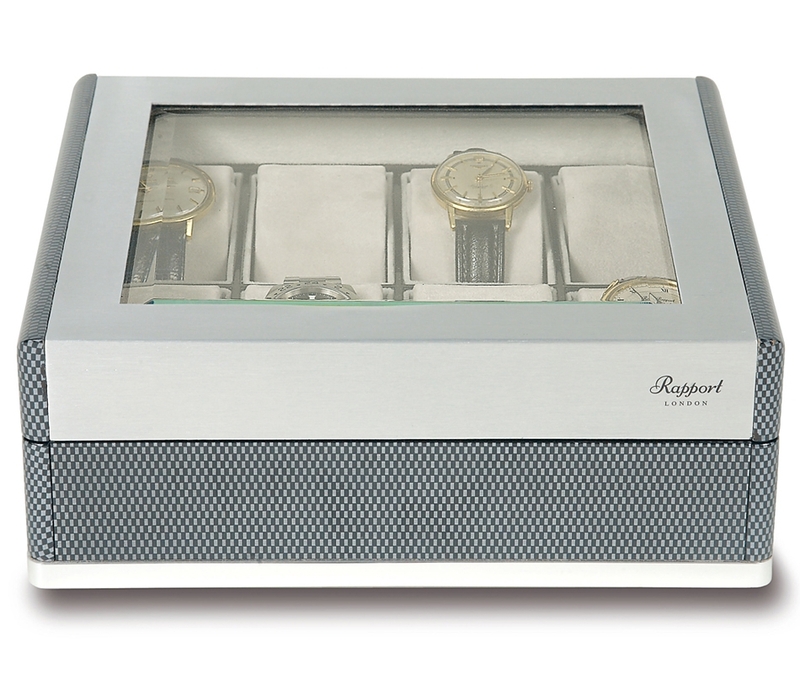 The case has the following measurements: 9 1/2 inches in width, 8 1/4 inches in depth and 3 1/2 inches in height. This is an ideal storage for your treasures! We are an official dealer of the brand. You'll get factory warranty and free domestic shipping for this item.